Good Morning! I apologize for the long spell of silence. It has been so crazy busy with all the traveling lately that when I have a breather I don’t feel like writing. I am in Raleigh, NC this weekend, headed home on Sunday. 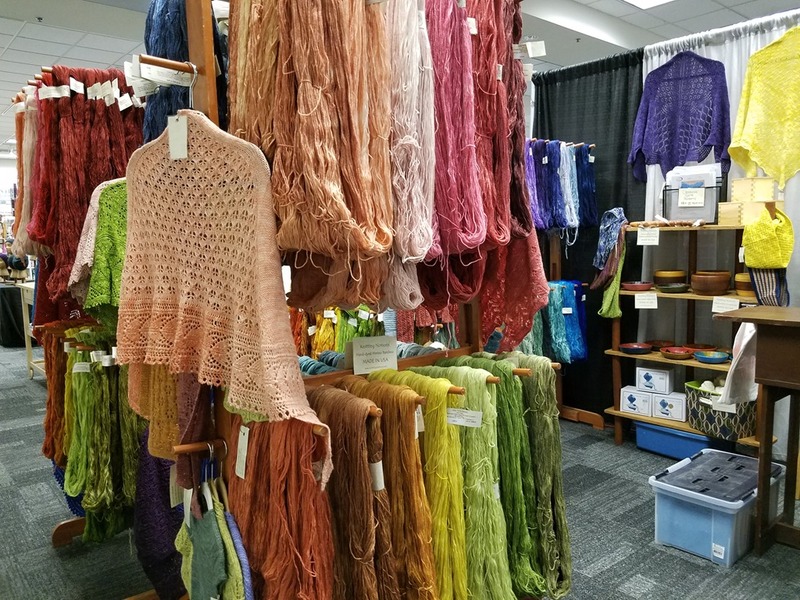 I am here for the Carolina Fiber Fest which is back at the NC Fairgrounds this year rather than the Sanford location where it has been for the past several years. I will be going over to the festival in a couple hours but I wanted to give you a brief update on the nine days since my last post. 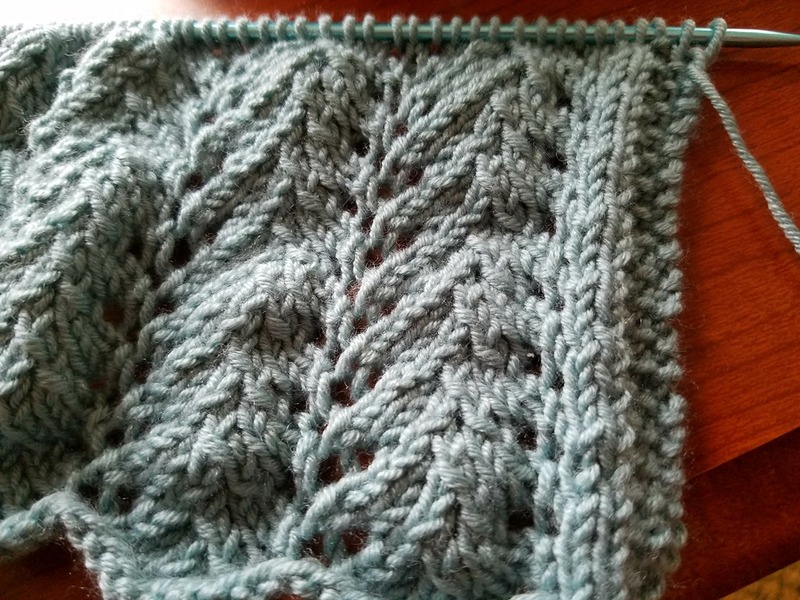 That’s my knitting progress for the time period and frankly it’s amazing I have that much to show you. I have five inches of the body done and I think I will stop at six inches and begin the sleeves. I am making the smallest size. 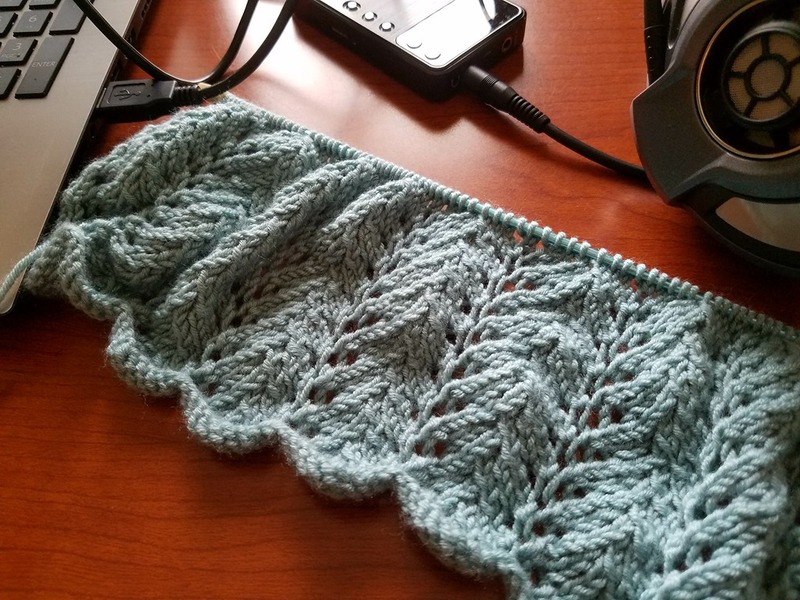 I haven’t decided between a seed stitch cuff and the lace for an edge, just one repeat. What do you think? I will be doing a seed stitch edge for the collar, and there are seed stitch edgings for the button bands. 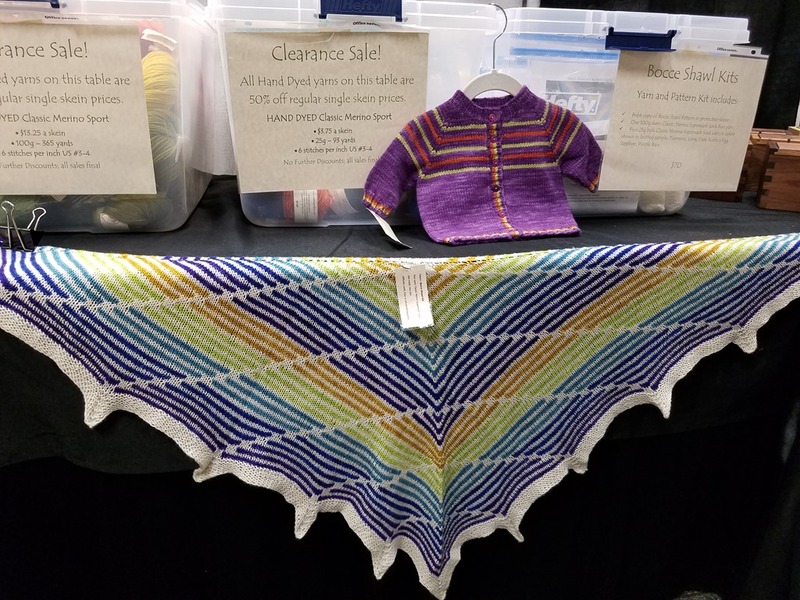 Here’s a few pictures from the Madison Knitter’s Guild Knit – In last weekend. 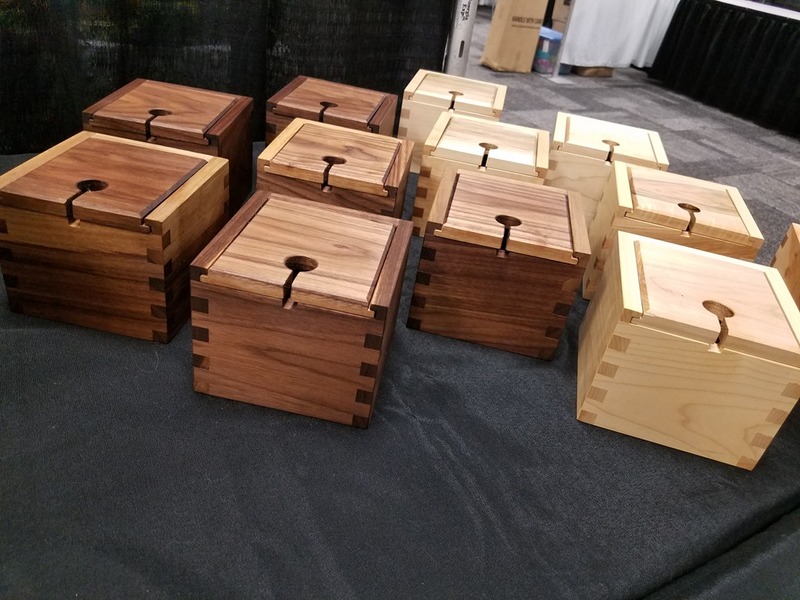 The Yarn Boxes went over nicely; we sold quite a few of the new Walnut ones! 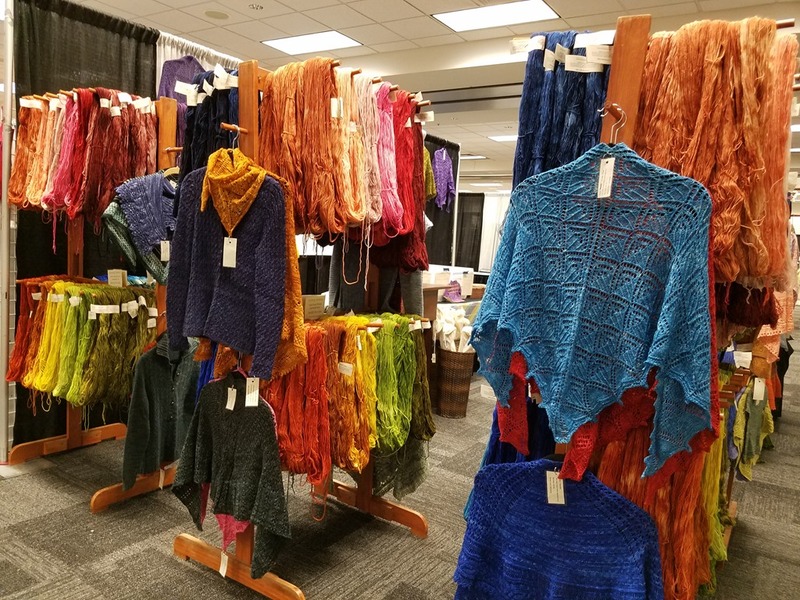 The Bocce Shawl on display. So yeah that is pretty much what my days have been like. 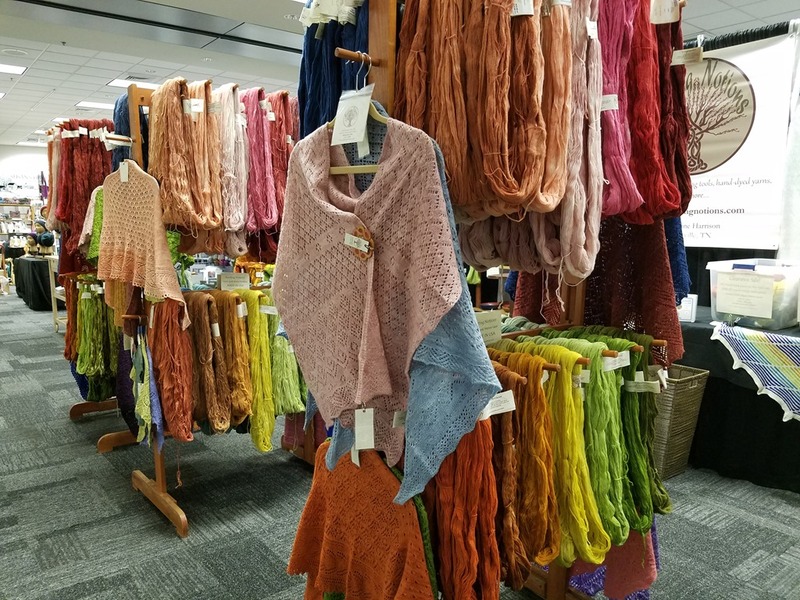 Hauling, driving, setting up and breaking down the booth, meeting knitters all day; rinse, lather, repeat. In between I have had a day or two at home only to wash and repack clothes and buy the family some groceries. After his show I have one more in this cycle of travel and then home for a few weeks. Happy Easter if I don’t post before then. Today we remember the cross and the sacrifice but on the first day of the week we celebrate the glory of His resurrection!